The MMM Ponzi Scheme keeps getting better by the day. 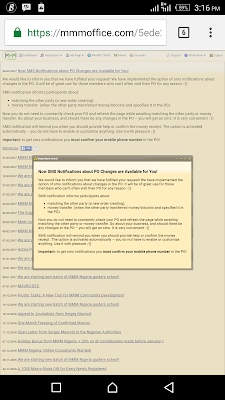 They keep bringing new feature to improve the experience of participating in this scheme. A news appeared on their PO today, showing that all participants can no go about their daily business knowing that MMM will now notify them whenever they have a standing order. money transfer (when the other party transferred money/bitcoins and specified it in the PO). Important: to get sms notifications you must confirm your mobile phone number in the PO! 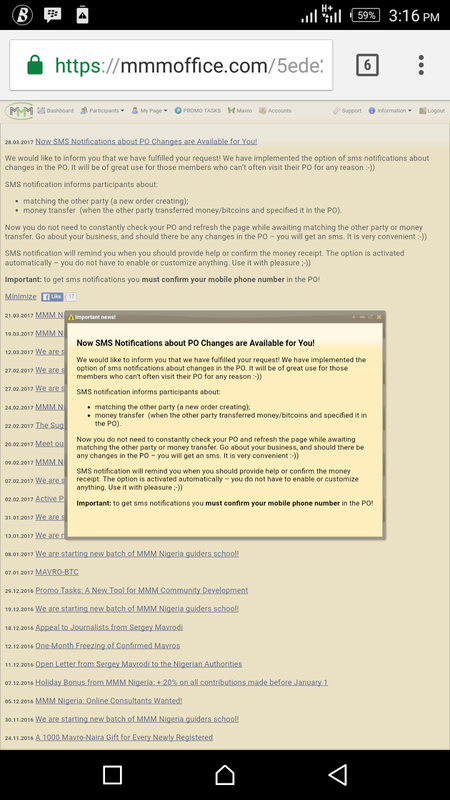 A news appeared on the MMM site some where last month, about working on all suggestions made by participants. This is the third on the list, but the most important update that the MMM participants are waiting for is the x3 PH to GH.